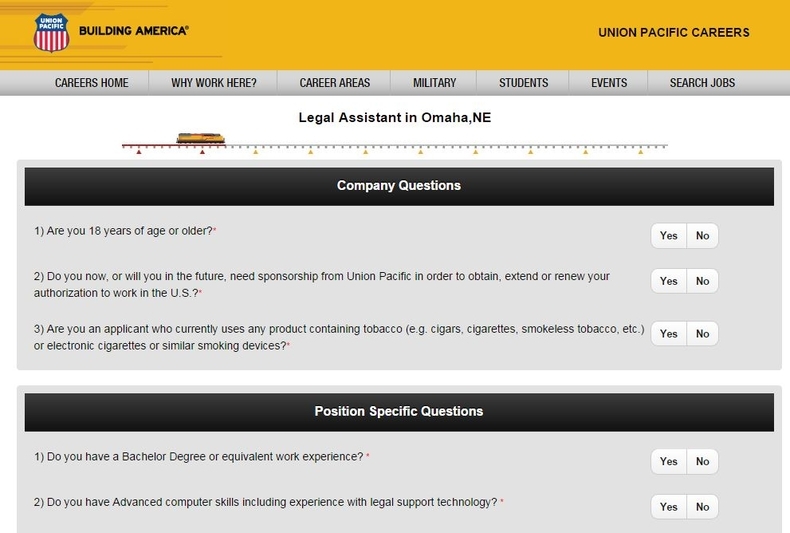 Go to the Union Pacific Railroad careers page at up.jobs to get a quick job search by entering job category and states. 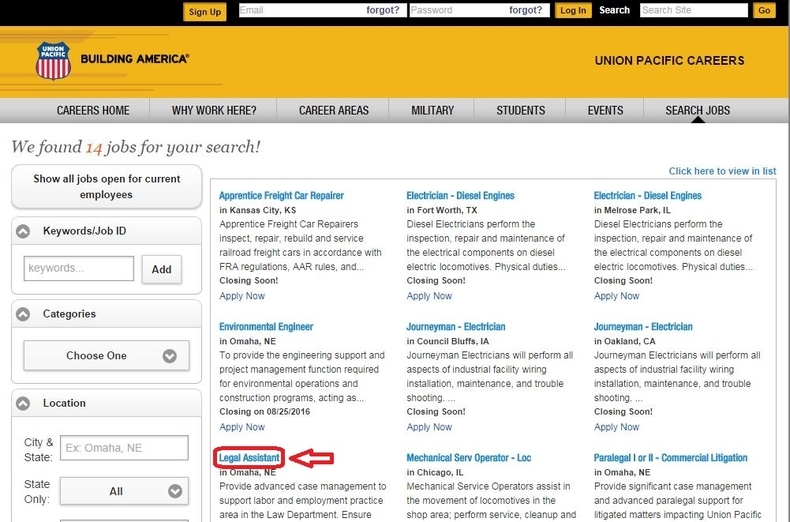 You can also directly click the button "Go" to view all the job opportunities. Browse the job openings list to find a position you are interested in. You can click the job title to view the details of the each position. View the details of the position such as job description, accountabilities and qualifications as well as information about the department and the company and then decide whether you are going to apply for the position. 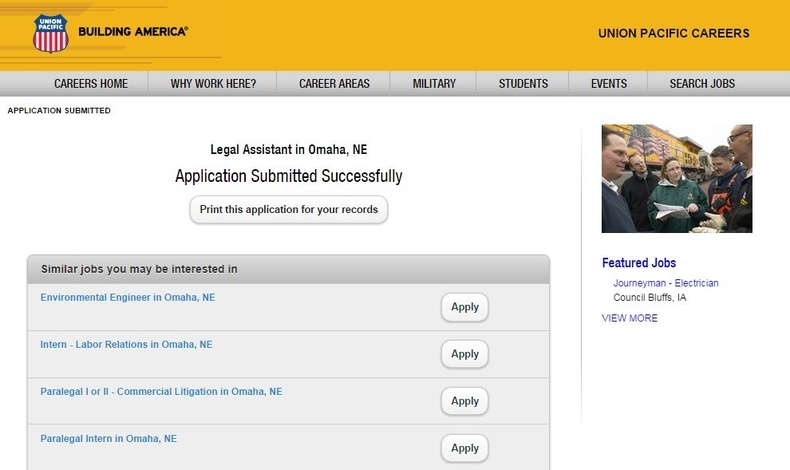 If yes, you can click the button "Apply Now" above or below the job details. 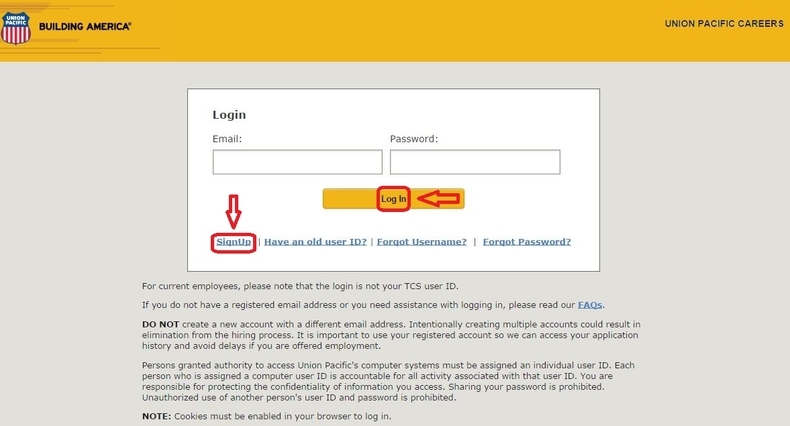 Before starting your application process, you need to login to the career site. If you don't have an account, you can click "SignUp" to create a new one. Start your application process by uploading your resume and then click the button below to go to the next step. 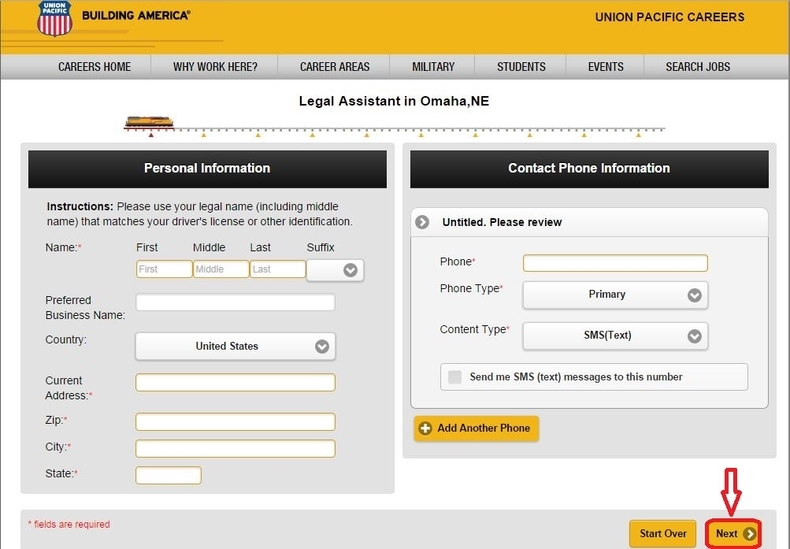 Fill out your personal information like name and address and then click "Next" to continue. The items marked with asterisk are required information. Follow instructions to answer the questions in each step. You need to complete all the required fields and click "Next" to move on to the next step. 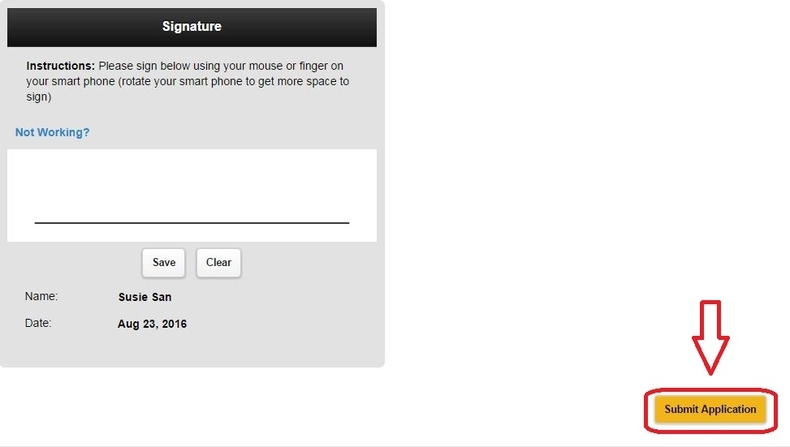 The last step is to agree with the terms and conditions and leave your signature. After completing the last step, you can click "Next" to view the entire application form and click "Submit Application" at the bottom of the page to end the whole application process. The whole process will be finished after your application form is submitted. 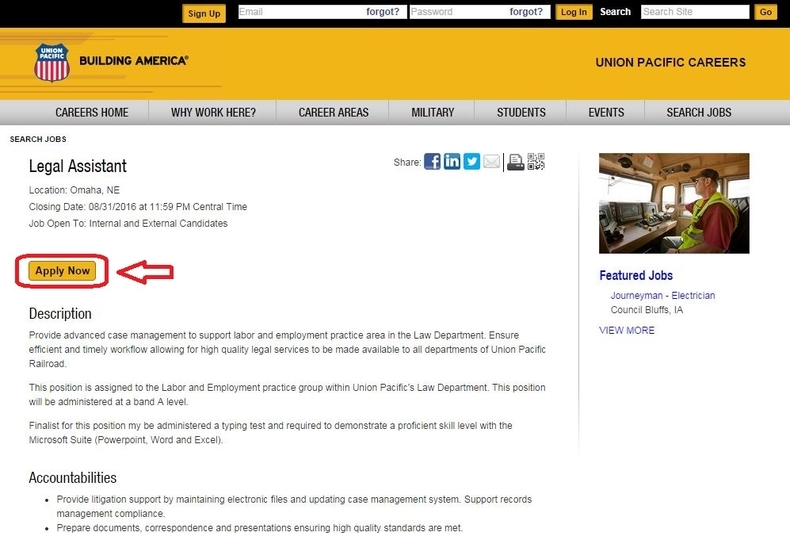 You can click to print the application for your records or apply for another position you are interested in. 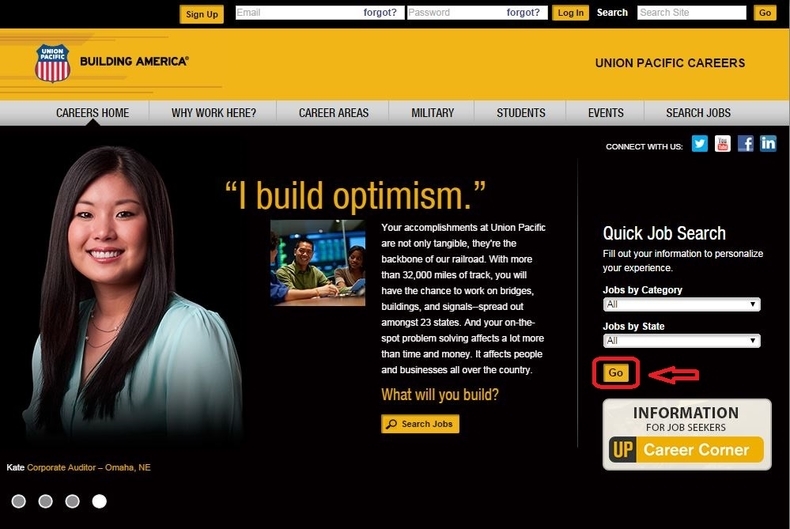 Click up.jobs to apply for Union Pacific jobs online.